Do you have an important legal issue and need immediate help? Are you looking for good, aggressive and respected lawyers? Do you want experienced lawyers who have a long history of obtaining successful results for clients throughout Alabama? If so, then you’ve found the right law firm. When you and your family are facing a difficult legal matter, your choice of attorney is essential. Achieving the best results in your case means choosing a law firm with the experience, tenacity, honesty, and reputation to effectively represent you and work towards getting you the results you deserve. At The Shelnutt Law Firm, our Gadsden personal injury lawyers know exactly what needs to be done to help protect your rights and best interests. We are prepared to take your case as far as necessary to ensure justice is served and your needs are met. We welcome an opportunity to discuss your case with you, free of both charge and obligation, to show you what makes The Shelnutt Law Firm different and how we can provide you with the immediate legal help you need. If you are in need of an experienced injury attorney in Alabama, please contact The Shelnutt Law Firm online or by calling 256-547-4988. We serve Jacksonville, Oxford, Fort Payne, Rome, and all surrounding areas of Alabama from our offices in Gadsden. If your injury prohibits travel, one of our accident lawyers can come to you to discuss your rights, your legal options, and the best way to move forward with your claim. 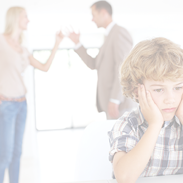 In addition to personal injury, our firm handles family law cases such as contested and uncontested divorce and cases involving domestic violence. 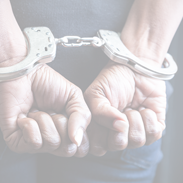 We also provide criminal defense for adults charged with DUI. Whatever your case, The Shelnutt Law Firm will offer you the aggressive, honest, and diligent help that you need. Please call 256-547-4988 to schedule a free consultation and learn more. When representing clients in injury, accident and social security cases, our Gadsden accident lawyers operate on a contingency-fee basis. This means you pay nothing up-front, not even for expenses that we incur during the course of your claim. We cover all of the investigating fees, pay for hiring expert witnesses, and any other expenses that may arise while providing you exceptional legal representation. Once your case is over, we collect our fee and are reimbursed for any incurred expenses if, and only if, you recover damages in your case. If you do not win your case, we do not get paid – which is just one way we choose to show our dedication to fighting tirelessly for the rights of every client we represent. 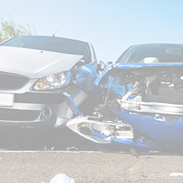 No matter if you are in need of an accident lawyer, a family law attorney, or professional representation following a DUI, The Shelnutt Law Firm is here to help. Please use our online contact form or call us at 256-547-4988 to schedule a free consultation at our Gadsden, Alabama office to learn more. Judgment against the driver of a vehicle who struck a pedestrian as he stood beside his disabled car. It was later determined through investigation that the driver of the vehicle was under the influence of drugs at the time of the accident. Substantial 7 figure settlement against a trucking company whose driver rear ended a vehicle occupied by a family member of our client. The driver claimed our clients brake lights were not working and that he tried to stop before striking our client’s vehicle. An inspection of the client’s vehicle found that there was “hot shock” evidence on our client’s brake lights and they were illuminated at the time of impact. The black box data from the truck showed that the truck driver never applied his brakes prior to impact. 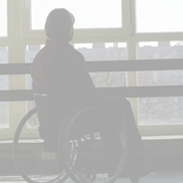 Multi Million Dollar confidential settlement for a client who was paralyzed after the vehicle he was occupying was struck by a commercial motor vehicle. An inspection of the truck by our experts found numerous defects, including non-functioning trailer brakes. When you contact us, you will meet with one of our experienced attorneys and get the personalized service you deserve. At the Shelnutt Law Firm, we aggressively pursue maximum compensation on your behalf. We are tenacious, and we will fight hard to secure a verdict or settlement that meets your needs. Results comes from good lawyering, experience, and dedication to the client. Wouldn't you want a lawyer who has seen cases from every side of the law? James Shelnutt has experience as a police officer, investigator, SWAT team member, lawyer, and judge. What Makes Our Gadsden Law Firm Different? Professionalism: There are other Birmingham and Gadsden law firms who tend to use publicity stunts and used car salesman tactics to lure you into calling one of their many offices. All you need to do is turn on the television to see their commercials or ride down virtually any stretch of interstate to see their billboards. While we specifically make no representation about the quality of legal representation, one way or the other, that you will receive at any of these “state wide” or “nationwide” firms, we can comment on the quality of representation you will receive at our firm. Clients Come First: While we have represented thousands of clients over the years, we refuse to give into the temptation of choosing “quantity over quality.” Our goal has always been, and will continue to be, “quality over quantity.” What does that involve? It involves The Shelnutt Law Firm taking the time to give each client the individual attention that client deserves. Every case is different and your case is no exception. Our goal is to make you feel like you are the only client we have. Your questions will always be answered, you’ll always be treated with respect and dignity and the information you share with us will always remain confidential. We’ll be your trusted partner throughout the process. Competent and Aggressive Representation: At The Shelnutt Law Firm, we will take the time to properly analyze your case and give you exceptional legal representation. This involves spending time on your case and using every legal tactic and option available to get you the best possible result. While you won’t see our lawyers swinging a sledgehammer, standing on top of a semi or snapping our fingers for a check, you will see our attorneys provide you aggressive, competent legal representation and fight tooth and nail for you, every inch of the way. We promise not to back down from anyone. That’s how an attorney gets a client the best result possible. Has a history of obtaining multi-million dollar settlements and judgments for clients. NO FEE GUARANTEE: When representing clients in injury, accident and social security cases, we operate on a contingency-fee basis which means that we don't accept any up-front fees or payments. We cover all of the expenses necessary to build your case, such as investigative fees, expert witness fees, medical records expenses, filing fees and other expenses. We GUARANTEE that if you do not make a recovery in your case, then you won’t owe us a dime! We will only be paid If, and only if, you recover in your case. AFFORDABLE FEES AND PAYMENT PLANS: In cases involving DUI, criminal defense, divorce, custody and business matters, our fees are reasonable and payment plans are often available. Rest assured that our attorneys take pride in our work and are here to help you. To contact The Shelnutt Law Firm today for a free consultation, please call 256-547-4988. When I came to your firm, I was concerned about the “good old boy” system in Gadsden. I had seen and heard horror stories over the years about how lawyers sell out their clients. This law firm did an excellent job in my automobile accident case and I spoke with Mr. Shelnutt and his staff members several times after hours. 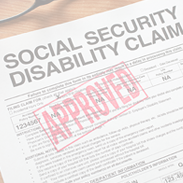 I have applied for my disability several times and used (law firms name removed out of professionalism). I was denied and felt it was hopeless. They have a great staff. Always polite and helpful. Mr. Shelnutt does a great job and you can tell he truly cares for his clients. The other attorney Mr. I was in a motorcycle accident after a moving van pulled out in front of me. I had a severe head injury, broken ribs and broken wrist. The Shelnutt Law Firm, P.C. Disclaimer: The Shelnutt Law Firm, P.C. provides legal information on legal topics. The information contained in this website is not and should not be construed as legal advice. 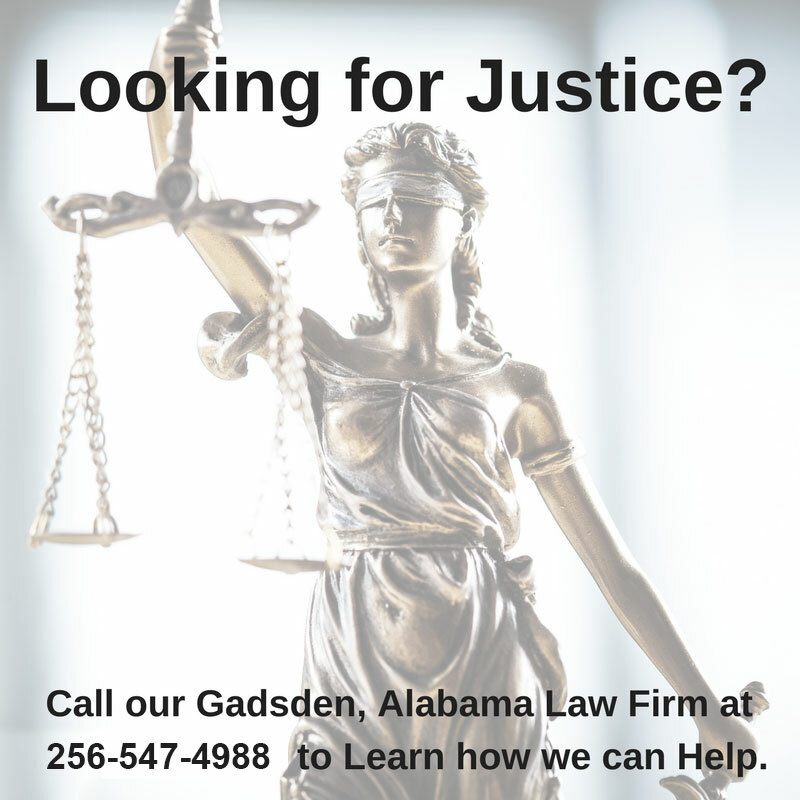 Please contact us to speak with an experienced attorney in the Gadsden, AL area for legal advice regarding your situation.This website is not intended for viewing or usage by European Union citizens.